Welcome to Day 9 of our 12 Days of Children’s Books Gala Giveaway. I’m part of an amazing group of writer friends who specialize in writing engaging nonfiction for kids. We’re the Nonfiction Ninjas! Hip hip hooray for today’s featured book in our 12 Days of Children’s Books Gala Giveaway! One of you will be our winner for today and will be receiving a free copy of this very informative book in your mailbox. Wendy, thanks so much for visiting my blog today and offering readers the chance to win a copy of your amazing children’s book. Wendy, can you share with us why new technology is so important? Technology is always changing. Things that people thought were impossible fifty years ago are common today. Our clothing and transportation are just two of the things that have changed over the years. What kinds of things are affected by changing technology? Clothing Inspired by Nature and Transportation Inspired by Nature are books about how plants and animals have inspired new technology. It’s the story behind some of the inventions that are changing the way we dress and get from place to place. Science affects all of us in ways we don’t always think about. It’s cool to learn about the science behind some of the things we use every day. The Inspired by Nature series from Focus Readers is a great way to get the story behind the story. Thanks, Wendy, for visiting my blog today. It was great to hear more of the “story behind the story”! Visit our brand new blog for children’s writers, Nonfiction Ninjas, and post a comment! 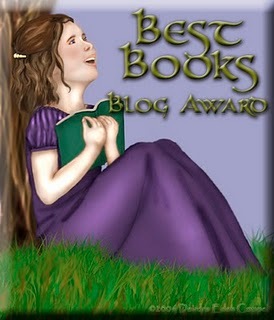 Be sure to stop back here on my blog tomorrow for Day 10 of our Gala Giveaway. You can enter your name for a chance to win our next featured children’s book. We’re giving away 11 amazing children’s books during our Gala Giveaway. And on Day 12, we’ll announce the winners, here on my blog. I hope you’ll be one of them! But hey…why wait until the giveaway is over to get your hands on this children’s book? The paperback edition is great for holiday or birthday giving and perfect for your kiddos to enjoy. It also comes in library binding for your school or classroom library, and makes a great holiday donation to your local library! You can buy it today on Amazon or at your favorite online bookstores! What a cool book–showing how our sleek modern ideas are actually inspired by “old school” Mother Nature. I agree, Pat. I think Wendy’s idea is brilliant! Wendy’s book sounds fascinating. I love biomimicry stuff! I think kids do too! This book is such a great topic! Thanks for the shout out, Nancy! You’re welcome, Wendy! It’s a joy to feature your book in our event!